In Ecuador, President Rafael Correa won more than 50 percent of the votes in Sunday’s election, landing him a solid second term in office. The U.S.-educated economist and socialist told supporters after his win that he is “here for the poor.” In a country where nearly 40 percent of the population is living in poverty, Correa is popular among the lower and working classes. And because the last three Ecuadorian presidents were ousted by revolt, Correa is seen by many as someone who offers the country political stability. But to Washington, Correa is not their favorite choice. He has strongly rejected any interference from the IMF and World Bank. 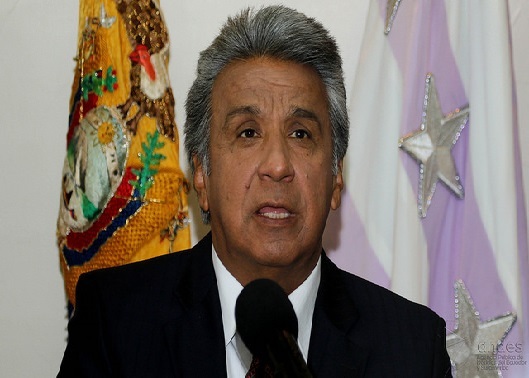 Correa has also warned the United States that it will have to move its military base out of Ecuador, famously saying that the U.S. can keep its base there on the condition that Ecuador be allowed a similar base in Miami. To understand more about the significance of this election, FSRN spoke to Director of the Council on Hemispheric Affairs Larry Birns. April 14, 2009 COHA Comments Off on Will Obama Open Up All U.S. Travel to Cuba?